Toyota's hybrid vehicles have saved their owners 25 billion litres of petrol - enough fuel, theoretically, for each of their cars to travel around the Earth... and then some. The calculation was revealed by the world's leading carmaker when it announced it has sold more than nine million Toyota and Lexus hybrid vehicles around the world, including more than 85,800 delivered in Australia. The latest milestone, achieved in April, comes as Toyota Australia prepares to introduce its newest hybrid, Corolla, early in the second half of this year. Toyota's parent company in Japan has revealed that the total fuel saving from its nine million hybrids represents an average of more than 2,770 litres per vehicle compared with driving petrol-only cars of similar size. The saving would provide enough fuel for each of those vehicles to travel at least 52,400km, or 1.3 times around the equator, based on a nominal average consumption of 5.3 litres per 100km. Three-quarters of the nine million hybrids use less than this amount of fuel. Instead of doing that, of course, Toyota's hybrid owners have pocketed billions of dollars in savings. Toyota has also estimated its hybrid vehicles have resulted in approximately 67 million fewer tonnes of CO2 emissions than would have been emitted by petrol-powered vehicles of similar size and driving performance^. Toyota Australia's executive director sales and marketing Tony Cramb said the extent to which hybrid vehicles had found homes in driveways around the world confirmed them as a mainstream option for motorists. "Toyota's hybrid vehicles are renowned for their performance, reliability, durability and exceptionally low running costs as well as their contribution to the environment and to saving precious fossil fuels," Mr Cramb said. "In Australia, we are looking forward to bringing Toyota's full hybrid technology to the country's best-selling car, Corolla - a move that will further broaden the market appeal of both," he said. Corolla hybrid hatch will be introduced as a well-specified single grade, expanding the local company's Hybrid Synergy Drive offerings to a fifth model. It will join Camry, which is the best-selling hybrid vehicle in Australia with 37,879 deliveries - almost double the Prius tally of 19,682 cars - followed by Prius c (7,432) and Prius v (3,430). Globally, Toyota's total is led by the world's best-selling hybrid, Prius, with 3.7 million sales since its debut in Japan in December 1997. Prius c has reached 1.25 million sales, Prius v 634,000 and Camry hybrid 574,000. While it took 10 years for Toyota to achieve one million global hybrid sales, it has sold eight million in the past nine years and has averaged more than one million hybrid sales a year since 2009. The company's hybrid vehicles are sold in more than 90 markets. 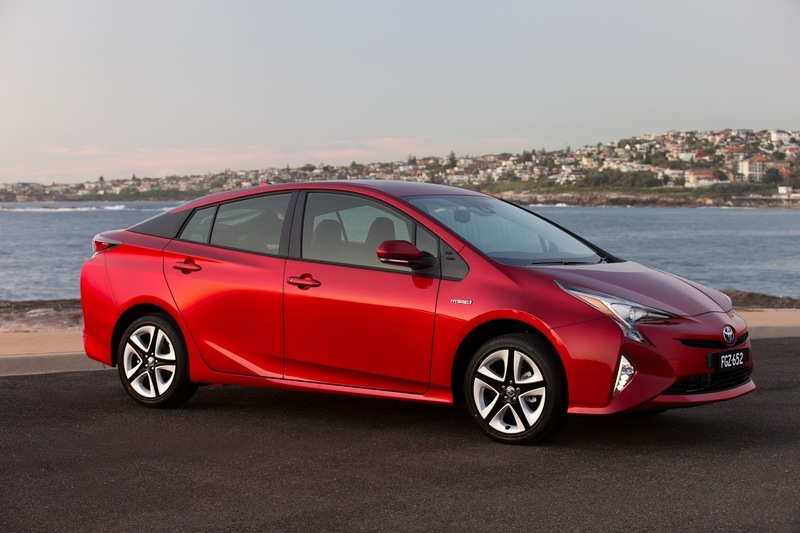 Toyota has positioned hybrid advances as core environmental technologies for the 21st century. Using these technologies, Toyota is also working on improving non-hybrid cars.